Tweed & Dixie (left to right) consist of Billy Gunther, Barry Forster, Rick Maida, soundman Carey Limberg. Not pictured: Drummer Justin Clifford. It seems to happen every year. 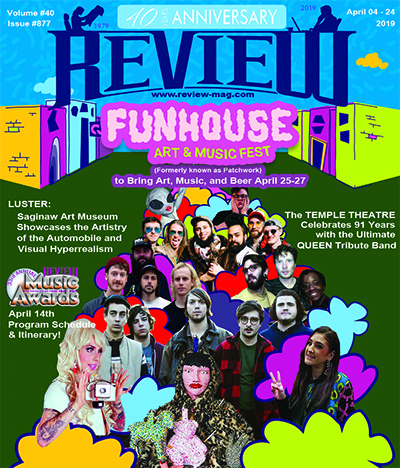 One new band will surface upon the regional music scene and resonate so strongly with audiences that they dominate the popular voting process, which is the foundation of The Review Music Awards, and walk away with numerous honors at our annual ceremony. Such is the case with Tweed & Dixie – a newly formed Alt-Country-Rock quartet that managed to gain substantial traction thanks to top-notch musicianship, engaging showmanship, and a steady string of original songs difficult to categorize. And this year these realities resulted in the group walking away with eight trophies at the 30th Annual Review Music Awards. This observation is not without controversy, as no sooner had I arrived home at 1:30 AM the night of the Awards Ceremony when I received the first of several irate e-mails asking how a Country band could walk away with trophies from the Rock division. The answer is simple and also a testament to how musical genres have blurred in recent years, with bands such as Tweed & Dixie firmly grounded to both the worlds of Country and Rock music. While the team of Billy & Barry are more Country oriented musically, Rick and Justin are more firmly grounded in the world of Rock ‘n Roll; and their collective focus is to mash these two divergent genres together in a way that is both fresh & engaging. Meeting somewhere between Waylon Jennings and Whitesnake, their sound has been crafted from growing up in the working class, grease-driven madhouse of Buck City and running the backroads of the Great Lakes. Their balanced between the country-rock soul of Forster, the pop-driven energy of Gunther, the gut-busting bass lines and soaring vocals of Maida, and the soulful thunder-drumming of Clifford. Having played live all over the Midwest in places like Chicago, Columbus, and all over Michigan; within the Great Lakes Bay region the group usually performs at the Willew Lounge in Bay City every Thursday and every other's Wednesday at Sherman's in Flint. They also perform Mondays at Tavern 101 in Bay City and will play the 702 in Midland on some weekends. They will also be playing at The Party on McCarty this year, along with the Walleye Festival in Freeland.